This fun card was for a recent Stamp Camp. 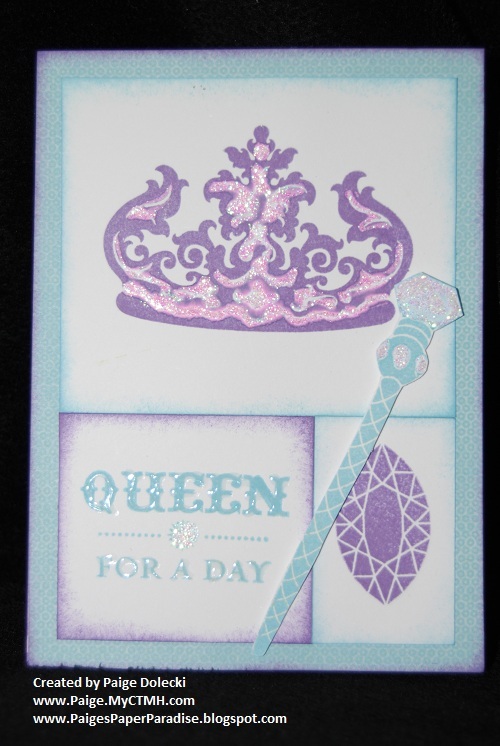 I loved the effect of the Glitz on the crown - it color changed the Gyspy ink to create a funky, glittery purple and pink combo. 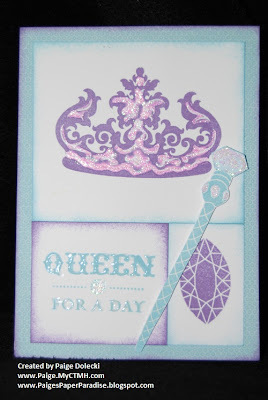 The sentiment "Queen for a Day" was highlighted with Liquid Glass to give it some umph and the gemstone head of the scepter was given the Glitz treatment too. All in all a great b'day card for a female of any age!